Grandeur's beauty is complemented by unmatched functionality. Easy and quick installation makes restoration or new construction efficient and exact. Smooth; yet sturdy mechanics; achieved through demanding production tolerances; ensure silk-like operation that is backed by our industry leading lifetime warranty. Add elegance to your home with this stunning non-keyed passage. 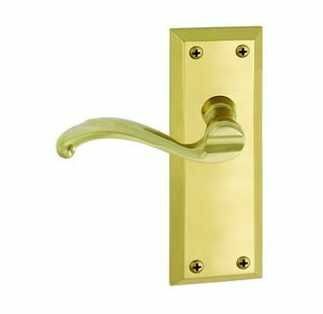 This passage handle set is perfect for hall or closet doors; as it latches but does not lock.